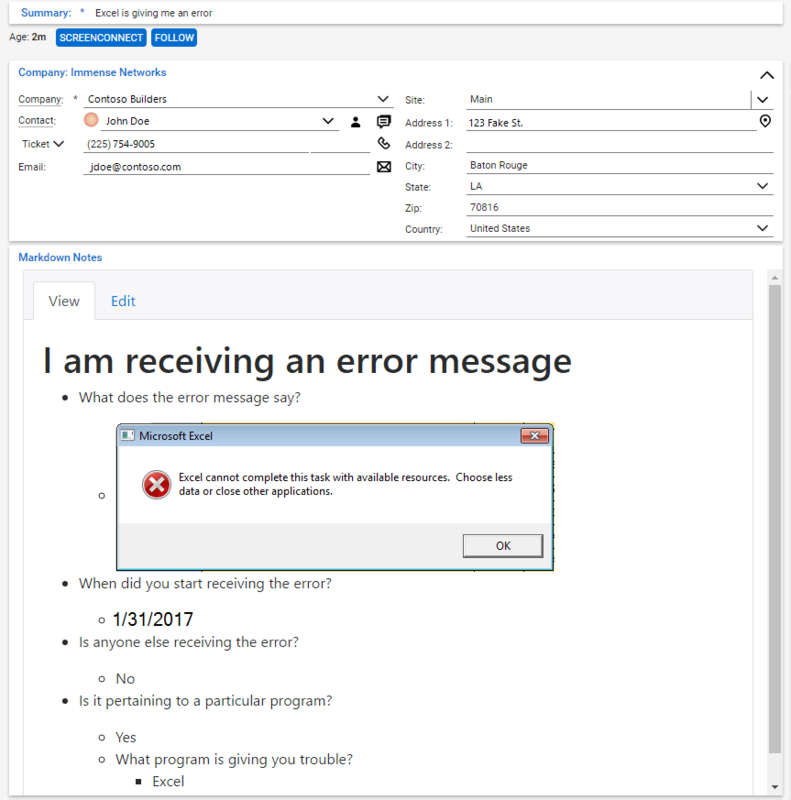 In our new service desk support workflow, emails sent to support@immense.net will receive a reply with the option to answer three questions or request a callback. 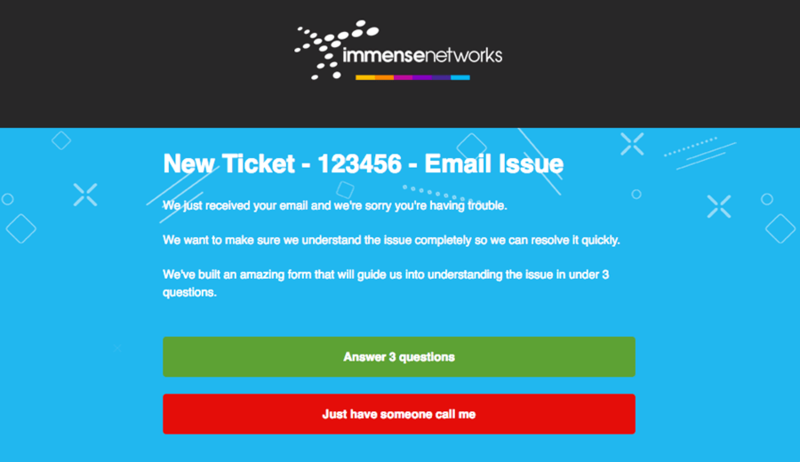 Option one, “Answer 3 questions,” is a simple way to increase the priority of your ticket. When you click the green button, it will take you to a ticket support form. Here, you’ll have the option to edit the form and provide us more information that will, in turn, help us resolve your ticket more efficiently. 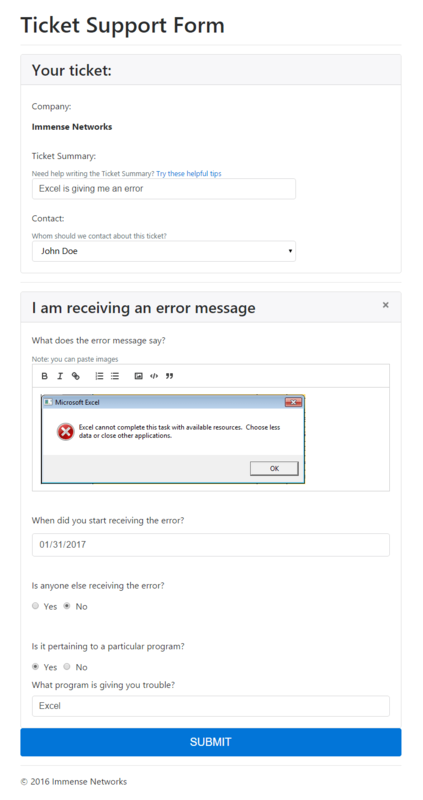 This feature allows you to include screenshots, so we can quickly pinpoint the issues you are experiencing. By creating this workflow, our goal is to resolve issues as quickly as possible the first time. Want to see the workflow in action? Contact us to learn more about our service and delivery initiative.